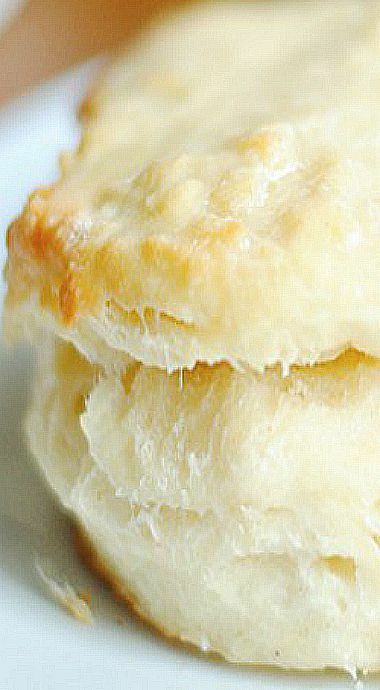 I have spent a long, long, lonnnnnnnnnnnng time searching for and perfecting this biscuit recipe.And I am happy to report that it was well worth the wait and the effort!! My quest began in college. I moved to Utah from North Carolina to go to school, and I quickly discovered one staple food that Utah does not have: fluffy, buttery, golden biscuits. I tried a few recipes here and there without much luck, and eventually resigned myself to the frozen dough variety. Fast forward about 4 years: it’s 2010, I’m pregnant, and all I can think about is grape jelly. Grape jelly and North Carolina buttery biscuits. So the search begins again. But more frantic this time, because… well, I’m pregnant and having cravings. Duh. 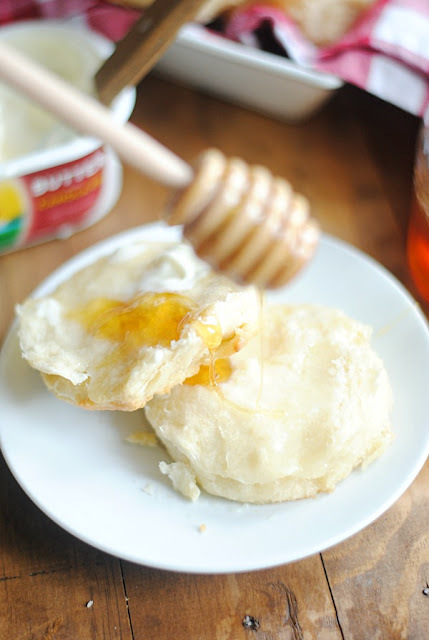 I made a new biscuit recipe (or two) every single Sunday morning from the middle of my first trimester until the end of my second trimester, when I finally pulled together this biscuit recipe. And even then, the biscuit-making didn’t stop! I ate biscuit after glorious, buttery biscuit until baby arrived. It was a good time. So here we are, over 4 years later and back in North Carolina, and I’m still sticking to this recipe. And through the many batches, I’ve picked up a few easy tips that I think are worth sharing. Biscuits are really so incredibly easy to make if you have an idea of what you’re doing and what to expect. Preheat oven to 425ºF. Line a baking sheet with parchment paper or a non-stick baking mat. In a large bowl, mix together the flour, salt, sugar, and baking powder. Create a well in the middle of the bowl. Add the buttermilk, egg, shortening, and 2 tbsp of the cold water into the well. Use a wooden spoon to start mixing and "cutting" to form a dough. Take care to not over-mix. Add the cubes of butter, and use your hands to knead the butter into the dough (no more than 7-8 times). Some of the butter will incorporate to help moisten the dough, but mostly you want the butter to REMAIN in small chunks throughout the dough. This will make the biscuits fluffy. Turn dough out onto a non-stick surface (use cooking spray if you need to, but try to avoid using flour which will dry the biscuits out). Press into a 1 1/2 inch layer, making it as level as you can. Use a round cutter to cut biscuits out. Place each one on the prepared cookie sheet, edges touching each other. Sprinkle salt over top of the dough. Bake for 12-15 minutes, until outer edges start turning golden brown. Serve warm! Or store at room temperature in a sealed container for up to 2 days. However: best fresh! 0 Response to "Mile High Perfect Biscuits"